Lúcio will hit the public test region Nexus on Feb. 6. Overwatch’s Brazilian freedom fighting DJ will break it down in the Heroes of the Storm Nexus. 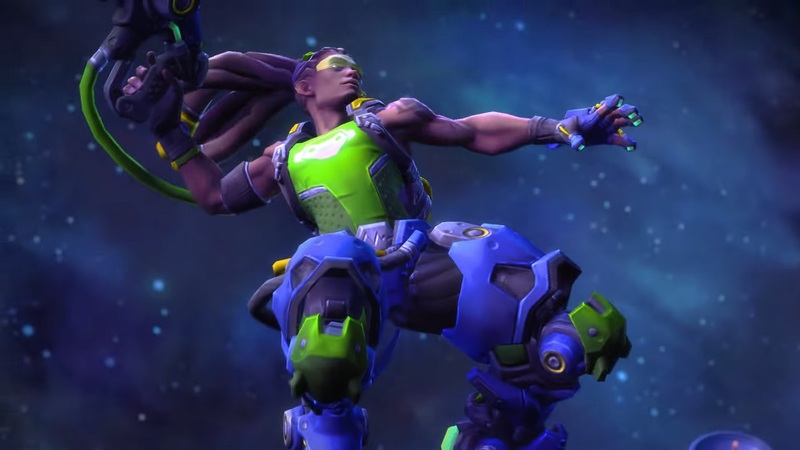 Armed with his sonic amplifier, Lúcio Correia dos Santos will hit Heroes of the Storm’s public test region on Feb. 6. As you may well have guessed, Lúcio will enter the battleground as a support hero wielding what looks like similar abilities as he has in Overwatch. A video on the official Heroes of the Storm YouTube shows those abilities in action: Soundwave, which knocks enemies back; sound barrier, which gives allies extra health; and crossfade, which gives allies either a speed boost or healing boost. Amp It Up will boost crossfade for three seconds, increasing speed and healing boosts. Plus, he can wall-ride. Lúcio will also be able to slow enemies and inflict damage with a new ability called reverse amp. Lúcio joins Overwatch heroes Tracer and Zarya already in the Nexus. If one thing’s for certain, he’s going to do great.